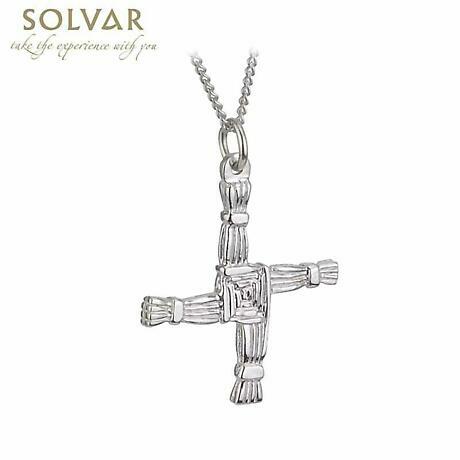 This beautiful Irish Necklace is fashioned by weaving individual strands of gold in the traditional manner. 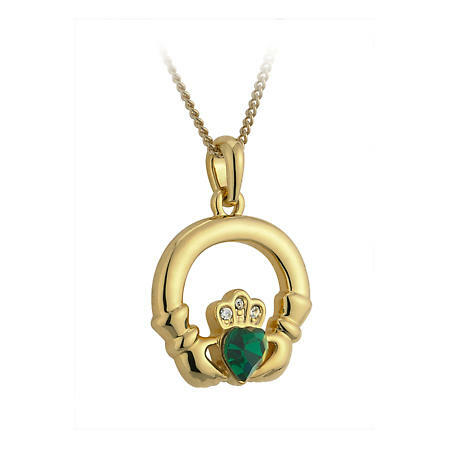 Comes in a padded display with 18 inch gold chain included. 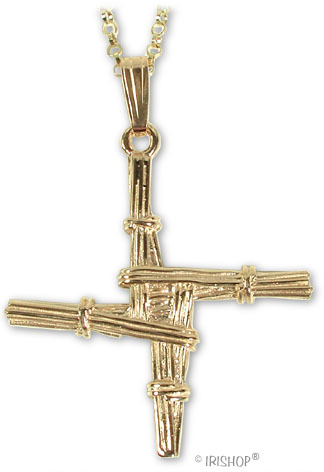 Measures approx .6 inch tall and wide. 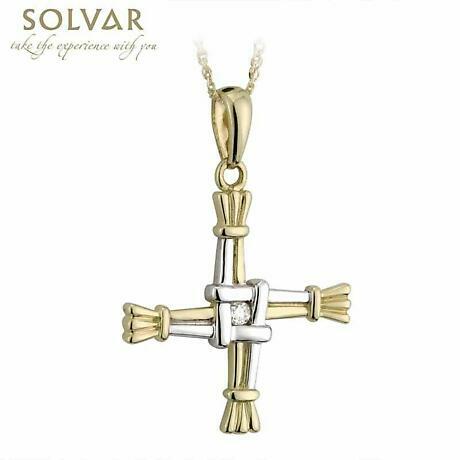 Made in Ireland by Solvar and hallmarked by the Assay Office in Dublin Castle.